I participated in an influencer Activation on behalf of Influence Central for Little Remedies. I received product samples to facilitate my review and a promotional item to thank me for my participation. Living in New Jersey we try to make the most of our summer vacations. Whether it’s fishing at the park, swimming in the pool and spending time at the beach we just love to be outdoors. I not a fan of New Jersey winters and being stuck inside with the cold and snow so I try to make up for it once the weather gets nice. The last thing I want to happen on a fun day out is an upset tummy sneaking up on kids. It’s bound to happen. Just a few weeks ago when we spent a few hours down the shore playing games on the boardwalk, my oldest was hit with a tummy ache. Poppy treated him to a giant ice cream cone, then he sample some of his mom-mom’s funnel cake. It was a little more than his tummy wanted and he had a tummy ache on the way home. Thankfully he slept it off in the car on the way home. Now I won’t leave home with out some of my favorite products for tummy relief packed in the diaper bag. That way if tummy troubles sneak up when we’re far from home or out enjoying the day somewhere, I’ll be prepared. I’ve been using Little Remedies® products since my oldest was a baby. I’ve trusted and used the brand for years so naturally it’s my first choice when I need something for the baby. She had her first little cold a few weeks ago and I sent my husband to the store to grab some saline spray to help her breathe a little easier. He called from the store not knowing which one to buy thankfully I knew right where the Little Remedies® products were on the shelf and was able to direct him right to them. Little Remedies® products are made to support the health of babies and children. With a “less is more” approach, each product is made with the fewest and most natural ingredients without sacrificing the product’s effectiveness. Little Remedies® products do not contain any artificial flavors, artificial colors or alcohol and are created with the very specific needs of children in mind. Little Remedies® Everything they need. Nothing they don’t®. 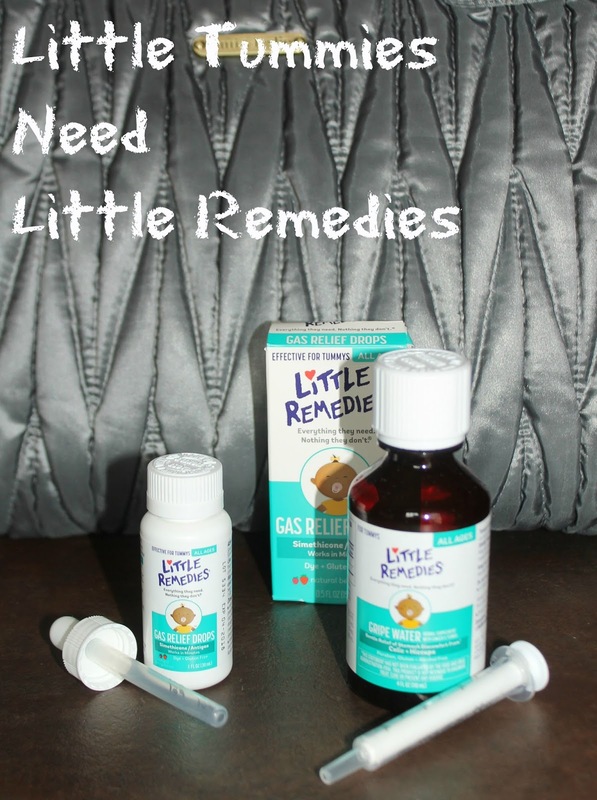 LIttle Remedies® Gas Drops are a safe remedy to gently ease stomach discomfort or bloating. Dosage can even be mixed with 1 oz. of cool water, infant formula or other suitable liquids. Little Remedies® Gripe Water is the natural, effective way to provide relief for baby’s upset stomach. Be sure to burp your baby during and after a feeding to reduce air buildup. Have you tried Little Remedies® before? I’d love to know your favorite product. I use Little Remedies with my kids and love their products!